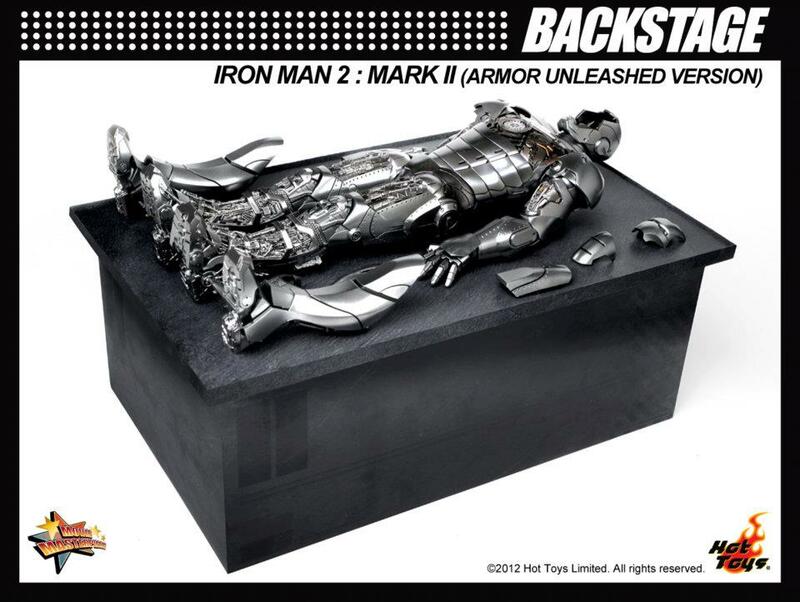 Hot Toys has posted a new preview image of their upcoming Iron Man 2: Mark II (Armor Unleashed Version). 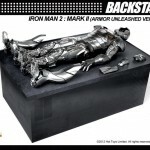 This particular figure is meant to recreate the armor dissection scene from Iron Man 2, AKA the birth of the War Machine suit. Good news for Iron Man fans! The Mark II (Armor Unleashed Version) Collectible Figurine will be coming very soon! What’s more, it will come with the specially made lab. table for fans to revisit the movie scene! They just get more and more creative with their figures. I wonder if they'll get the Avengers license. It's a sick table, but honestly I want more accessories then a work table, I mean this figure is gonna be $200+ how about adding a mecha assemble/desemble robot drone, or drone parts, or perhaps a jarvis function that spoke, that'd be awesome.